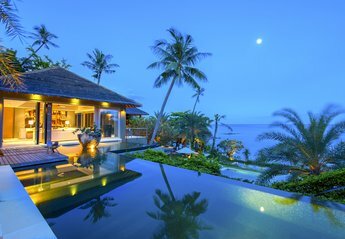 Found 23 holiday rentals in Koh Samui. 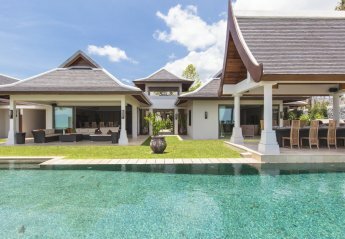 Outstanding luxury beach-front villa, unique on Chaweng beach. Has own private pool , gym and jacuzzi. A daily continental breakfast is included. Within walking distance to all amenities. 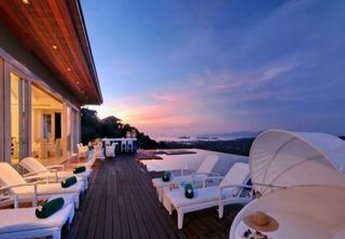 Luxurious Thai-style villa in secluded hillside location with its own swimming pool. An ideal location for relaxing and sightseeing and only five hundred metres from the beach. 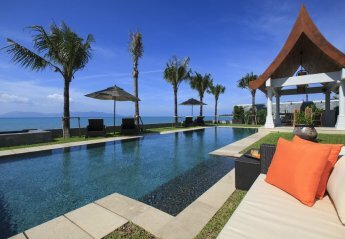 Outstanding beach front villa with modern facilities and accommodation for 12 adults and 8 children. 10 minutes from the airport and from Chaweng, the main shopping and night life area. 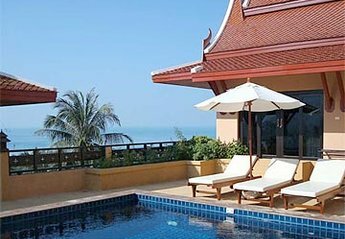 Siam Sunset Luxury Family Villa 4 or 5 Bedrooms- Excellent views. Beautiful and private villa boasting a huge private pool in lush gardens with an outdoor jacuzzi. Beach and main village just three minutes walk away. 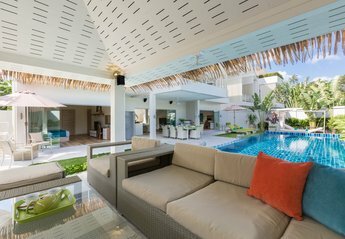 Brand-new spacious villa Mojito with 5 bedrooms, big swimming pool, covered sala and upper terrace with projector screens. 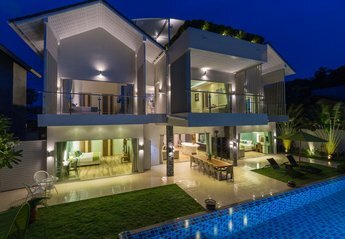 Brand-new spacious villa Baylis with 5 bedrooms, big swimming pool, covered sala and upper terrace with projector screens. 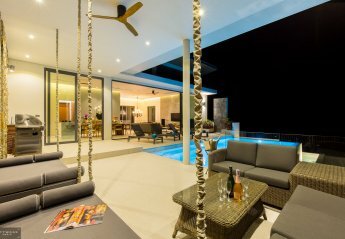 Villa 12 offers an extensive array of facilities and spaces. In addition to seven oversized, en-suite bedrooms (five with private Jacuzzis), the villa also features a cinema and gym. Easy Access! & better than the rest. The magic of Fisherman's Village in easy reach. Whatever the size of your group, sizzling style is all yours. 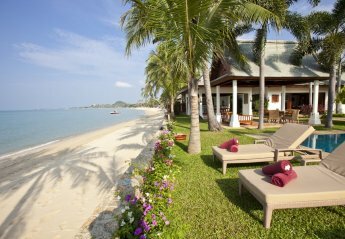 Our home provides the best Samui luxury location. This stunning beach-front villa is an ideal venue for weddings or events, with seven beautiful bedrooms and an extra children's room, there's plenty of space for everyone. This little piece of paradise is just a stone's throw from the glorious white sand beach of Mae Nam. It couldn't be any closer – meander through the tranquil garden area. 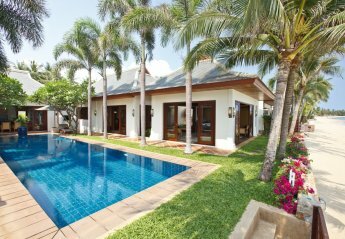 Accommodating up to twelve guests, Villa Tansanne is a delightful Thai inspired haven for families and friends alike with an enormous private pool, direct access to the beach and stunning sea views. 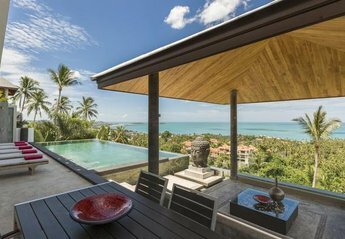 This magnificent five-bedroom villa on the northern coast of the beautiful Thai island of Koh Samui enjoys modern facilities. 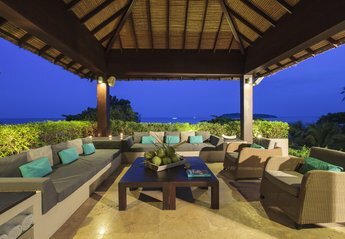 This delightful five-bedroom beachfront villa for up to 12 guests enjoys direct beach access, a beautiful private pool and even 24-hour security, with your villa manager, chef and maid. 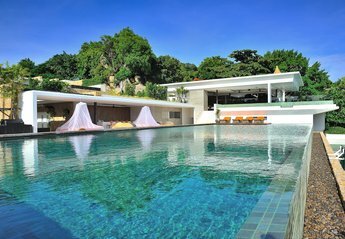 Villa Phaelyn is a majestic paradise located just metres from the glorious white sand beaches of Mae Nam. 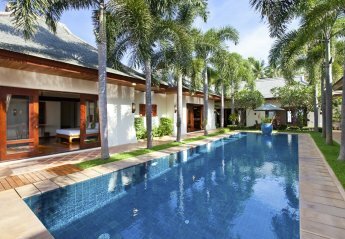 Perfect for weddings or events, the seven-bedroom villa comes with a gym. 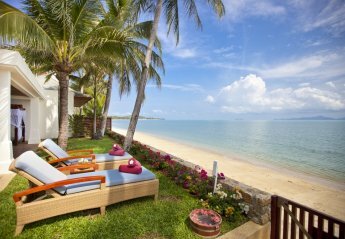 We found 23 holiday rentals in Koh Samui.